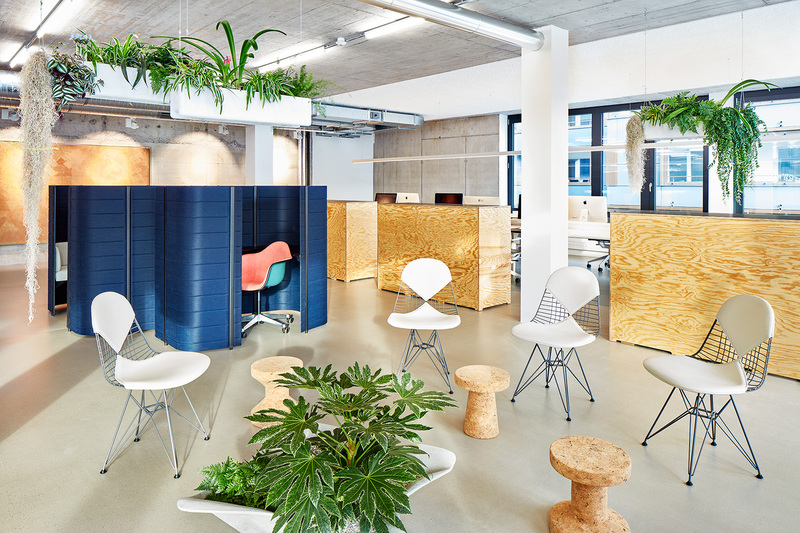 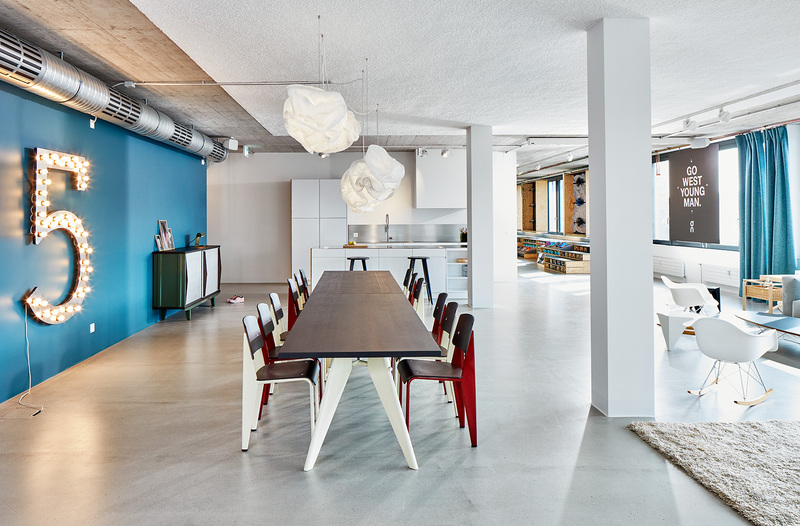 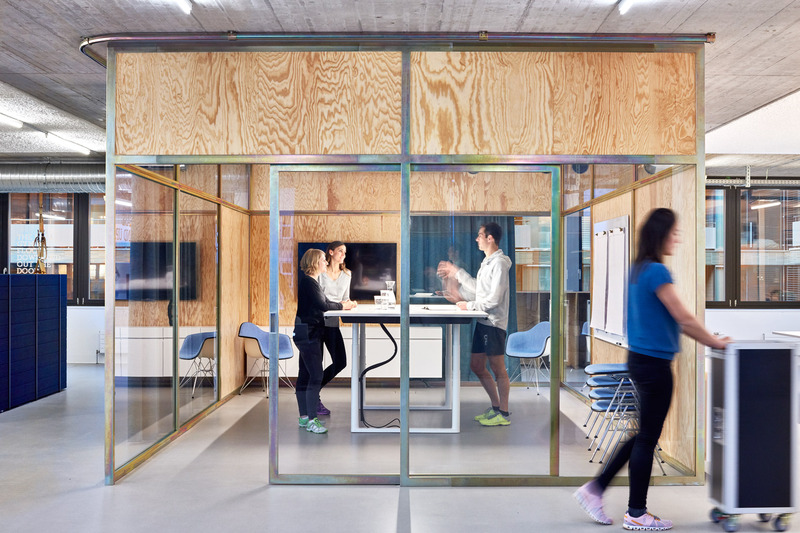 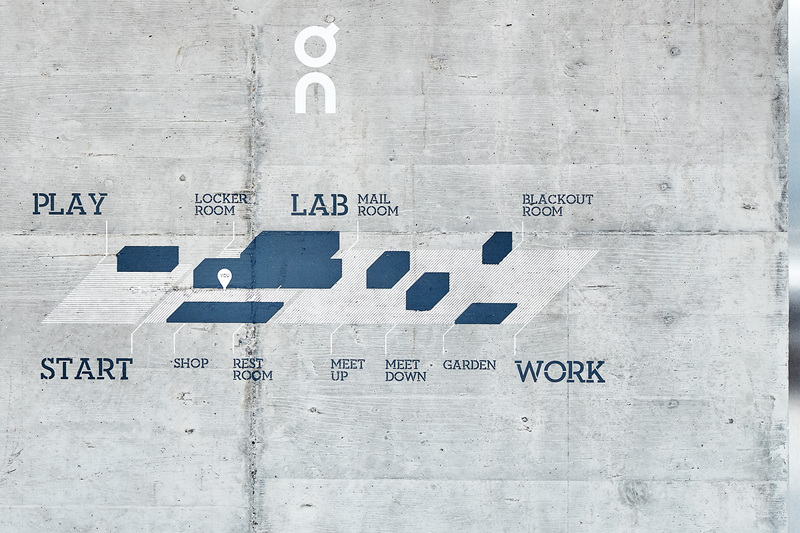 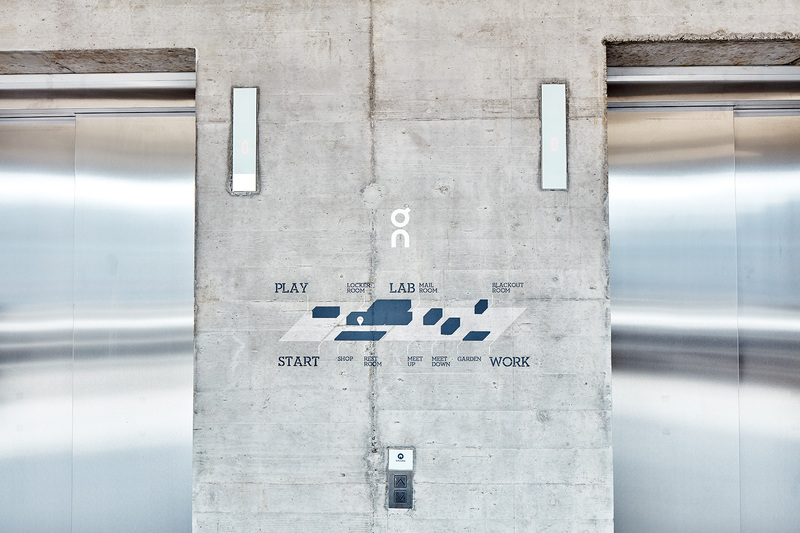 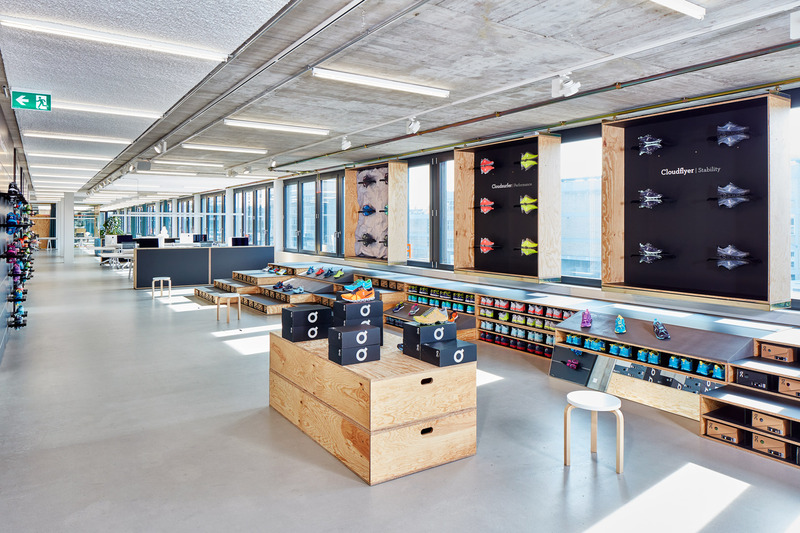 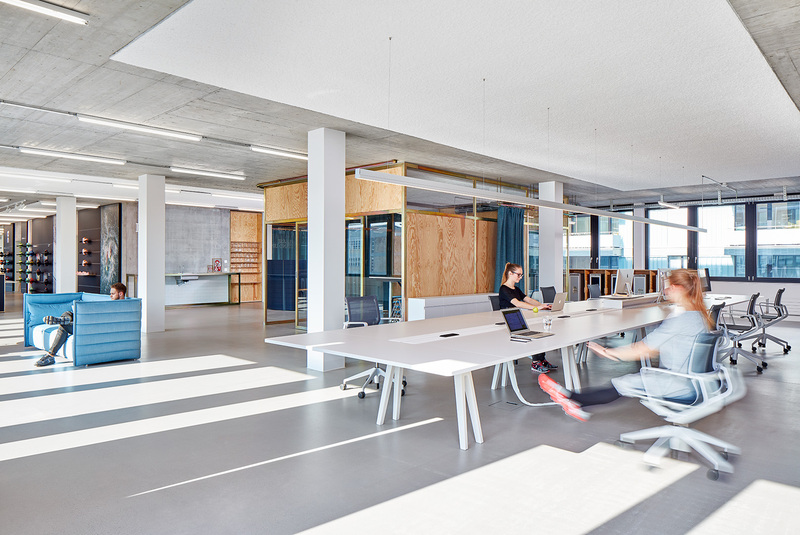 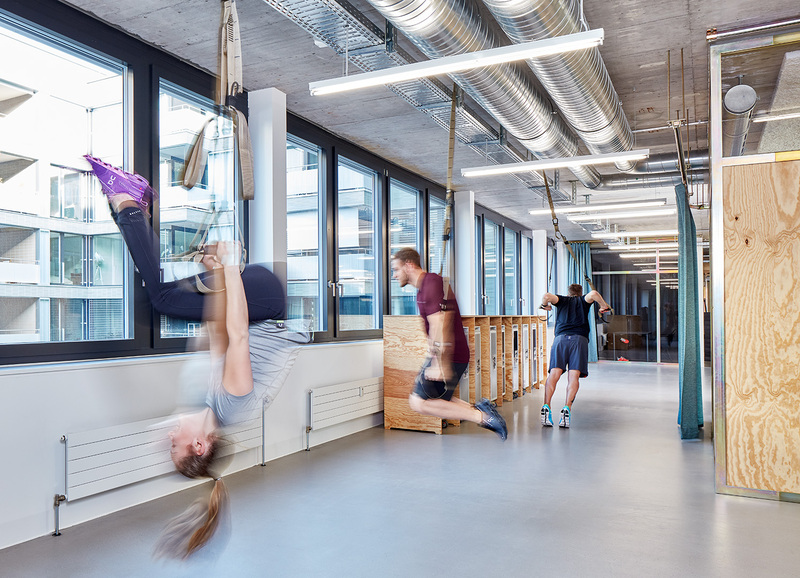 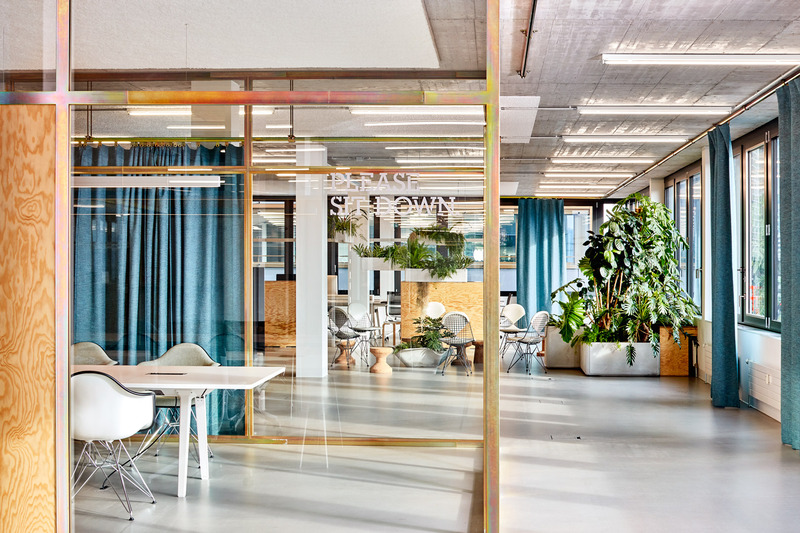 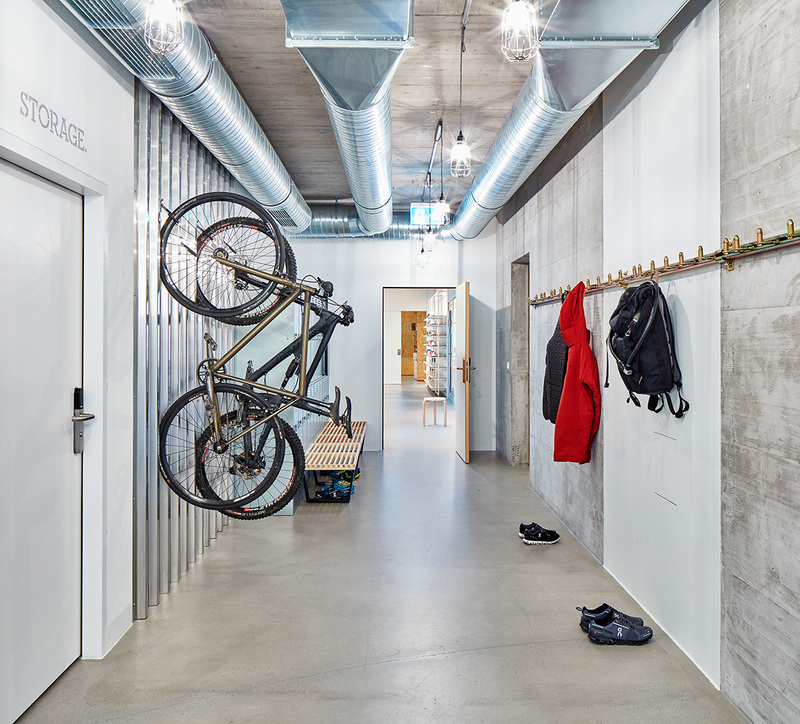 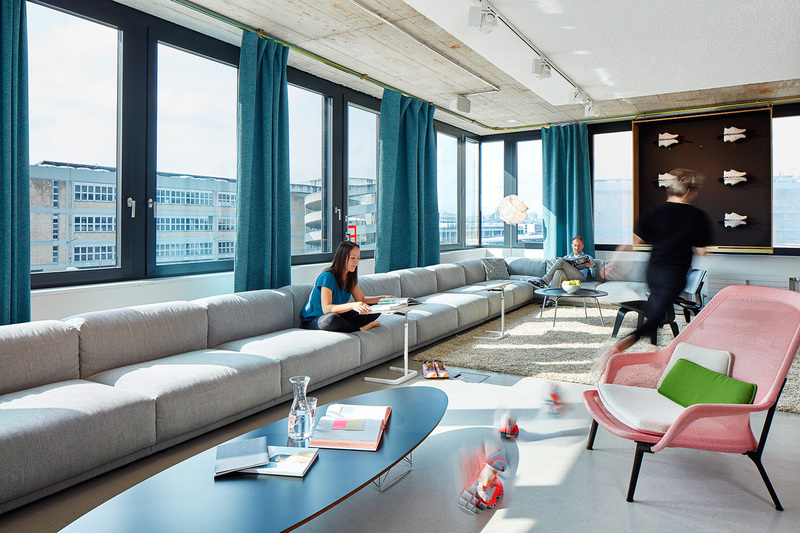 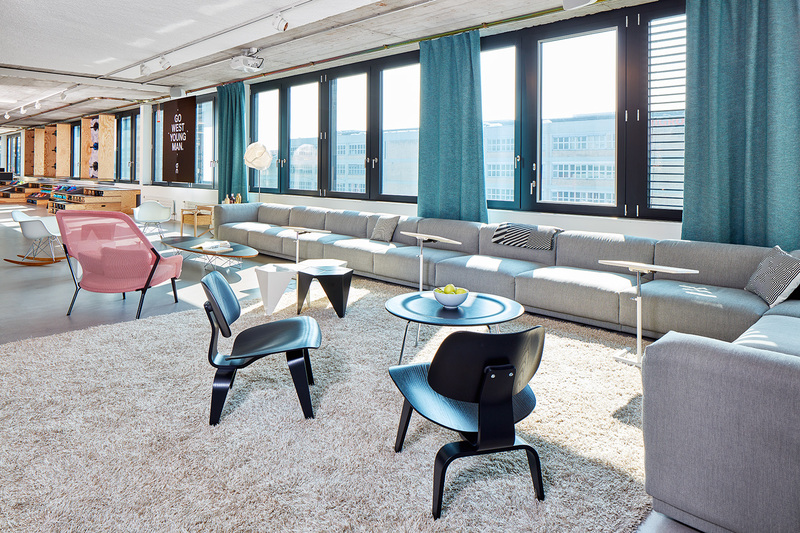 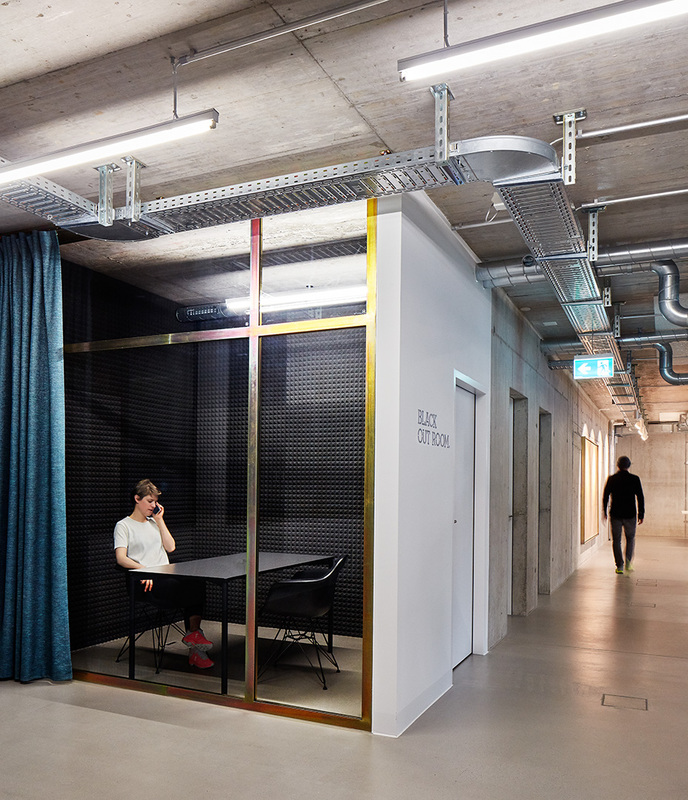 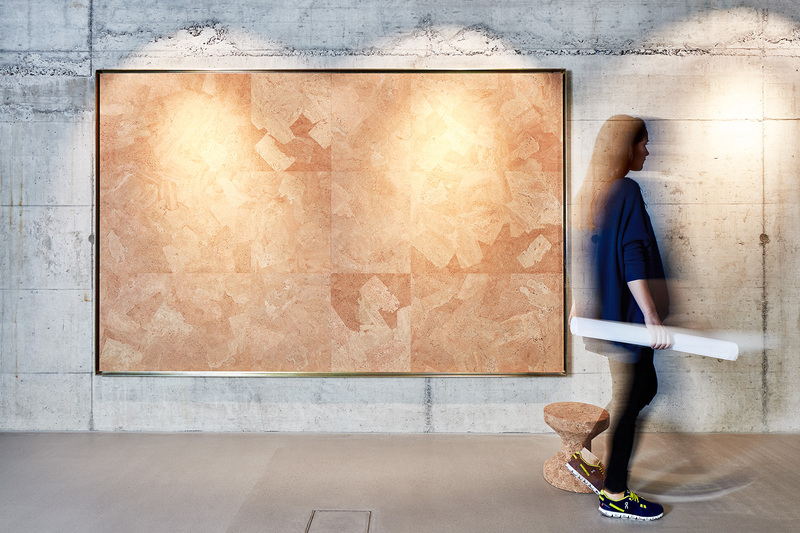 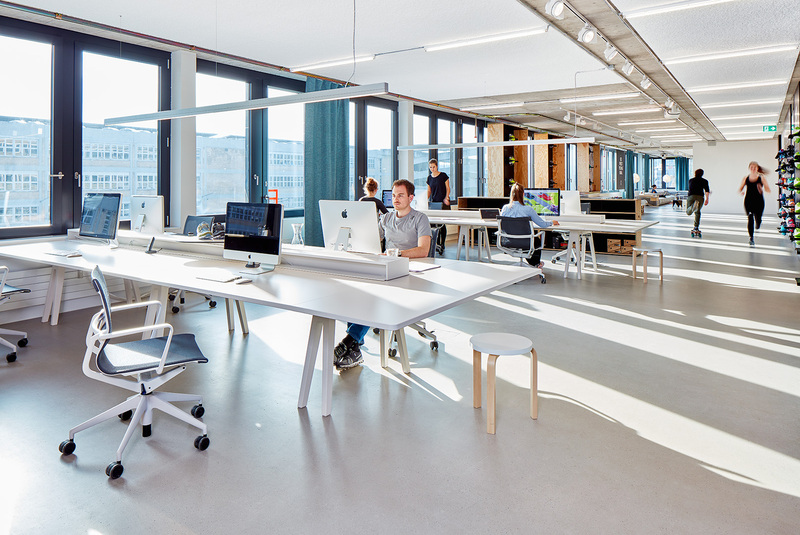 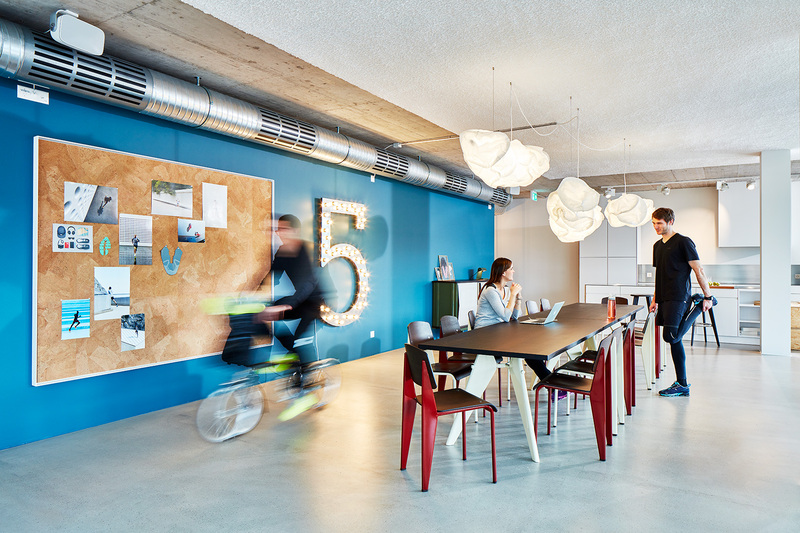 "On, the young, successful running shoe brand, keeps employees on their toes in the company's new headquarters in Zurich: while working environments usually seek to shorten paths, the On team moves around along a central aisle in an office space of over 100 metres. 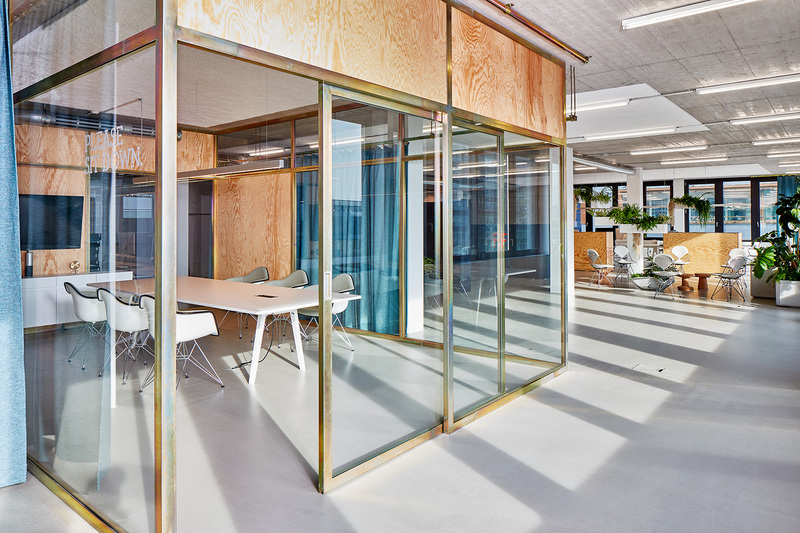 There are no partitions or attributed workspaces. 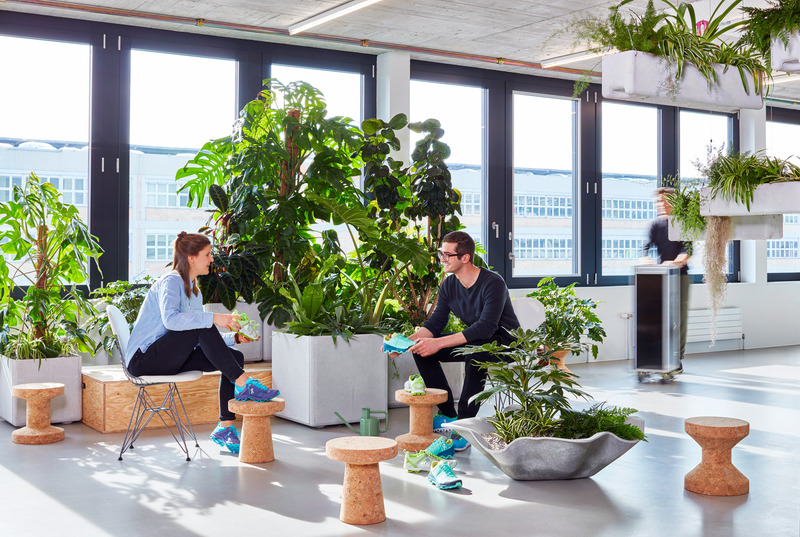 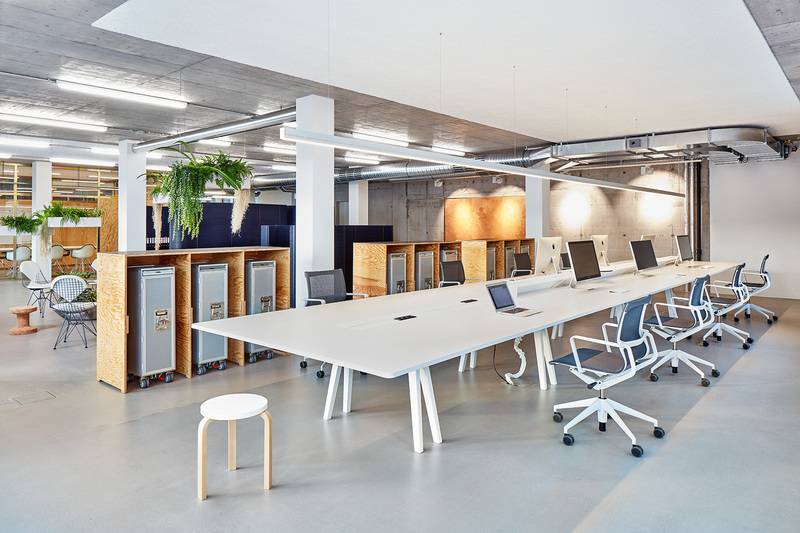 Employees clock up a total distance of two to three kilometres daily in a setting that promotes intercommunication unlike any conventional office layout. 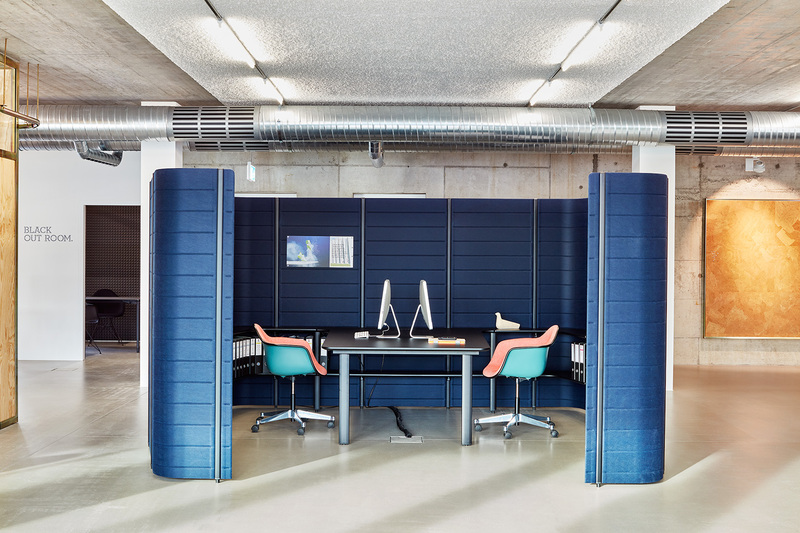 This dynamic environment thrives on emotions and calls for a sense of comfort and well-being – for sofas which are at home in offices and office chairs that are also perfect for the home office. 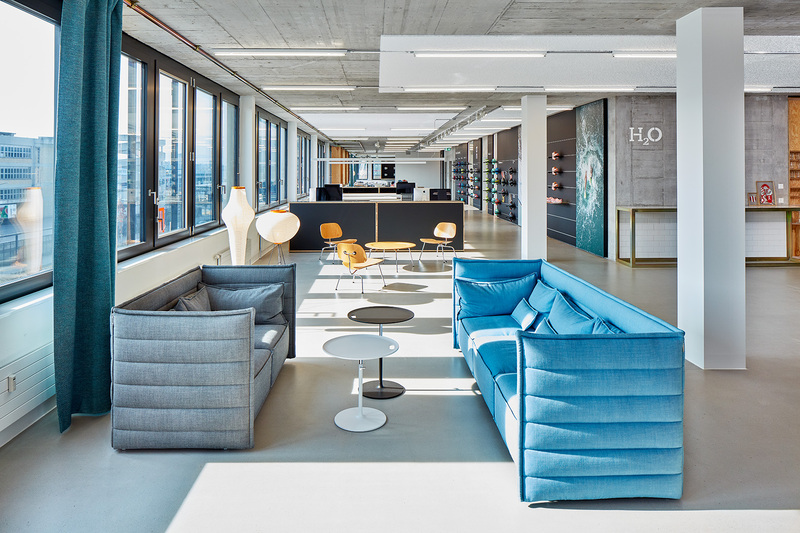 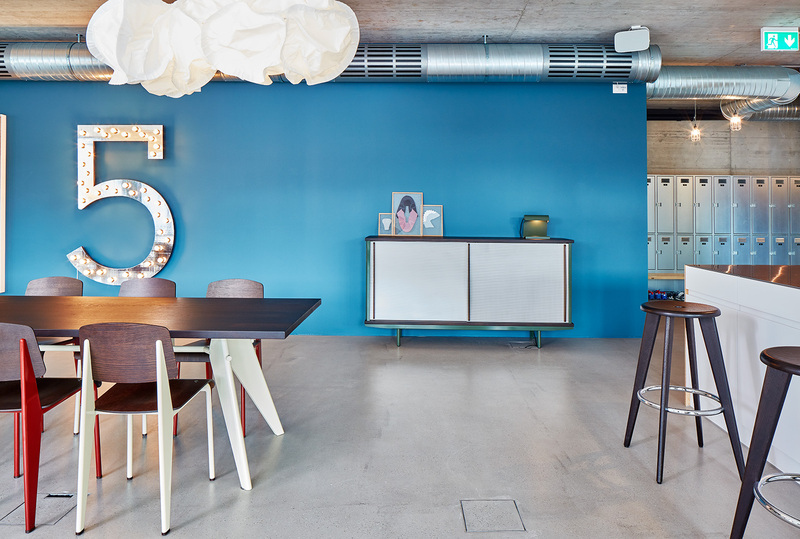 Cross-functionality is part and parcel of Vitra's comprehensive product portfolio, which is why the On office is furnished entirely with Vitra furniture. 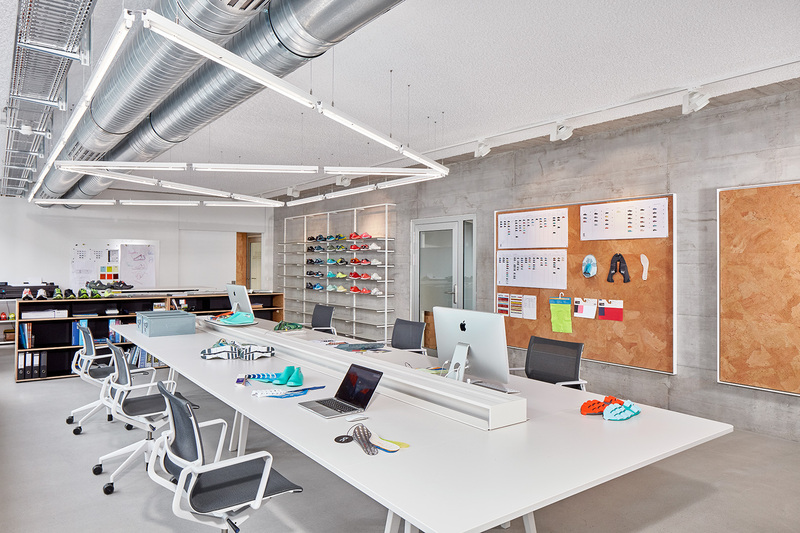 The new start-up company ON, specialized for running shoes, opened the door for the new office, design and test center in Zurich. 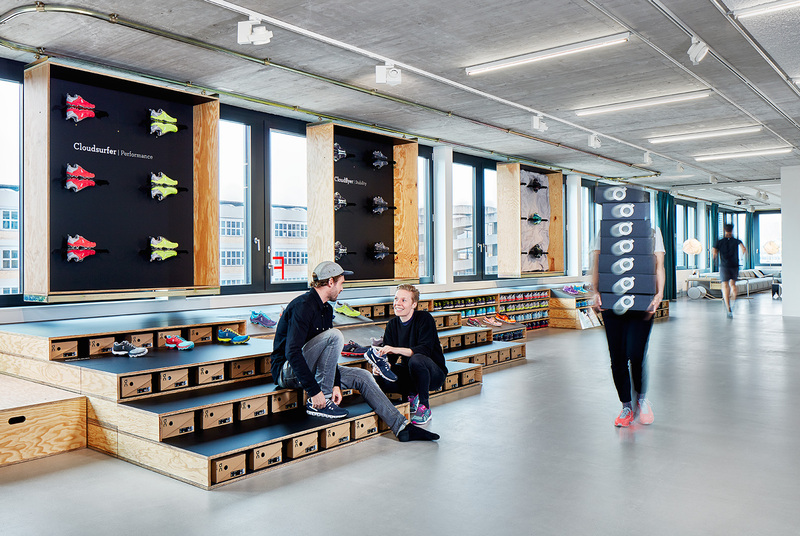 Between the vitra furniture the office shows a 100 meter running parcours, where all sneakers get tested from the own company staff. 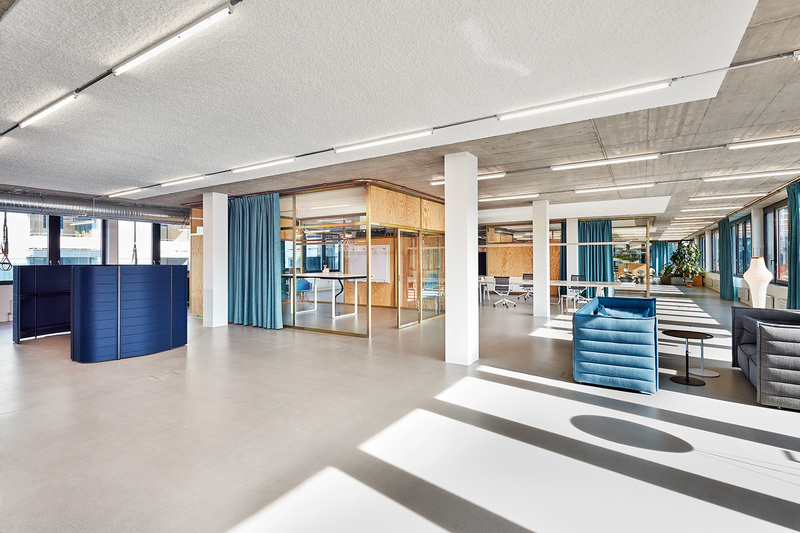 The combination between different work areas, meeting rooms, show room, locker room, showers, garden, lounge and kitchen area reflects the contemporary co-working idea in a perfect way. 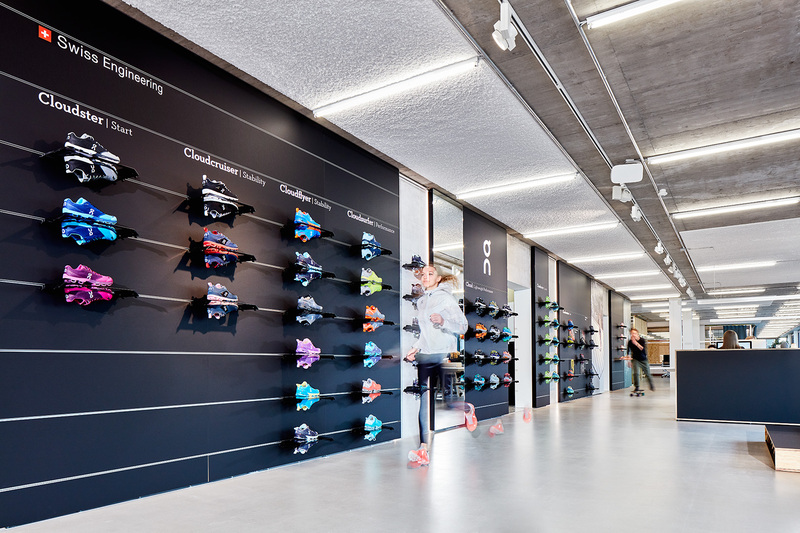 Never met a company, where a part of the employees by lunchtime goes collectively to run, it was a moving experience.